NovaVision offers two different therapy programs for rehabilitation of neurological vision loss – NeuroEyeCoach and Vision Restoration Therapy (VRT) – which we provide in a single therapy suite for $900. These therapies do different things, and in this blog we explain why it makes the most sense to do both these therapies, one after the other. This is the goal of every person with a visual field loss who contacts NovaVision. However, what kind of visual improvement each individual wishes to achieve, and how much time and work they can invest into the vision therapy, can be very different. Better orientation in traffic and in the environment (e.g. searching for goods on a supermarket shelf, finding the check-out and exit, walking back to my car and watching out for other cars in the parking lot). NeuroEyeCoach is specifically designed to achieve this goal. Training with NeuroEyeCoach provides benefits within a short time frame (typically 2-4 weeks) to re-learn and automatically implement efficient and fast eye movements. Through these frequent and large eye movements (saccades) to the side where the visual field impairment is located you get your full field of vision back “into overview“. The fast eye movements will make sure that you do not miss any important visual information which is present in your impaired visual field: e.g. obstacles, people known to you, goods on the supermarket shelf, street signs, cars driving nearby. NeuroEyeCoach is a treatment method for the compensation of visual field loss. The deficit itself will remain, however you learn to compensate and cope better with your remaining vision. “Seeing better“ is also the desire to get as much as possible of your previous visual ability back. This may be achieved with VRT, which helps to improve sensitivity and the visual processing ability of partially damaged visual functions through repeated and frequent stimulation, typically along the visual field border. A functional improvement requires several months of intensive therapy and the first signs of improvement might only be noticeable after three therapy months. 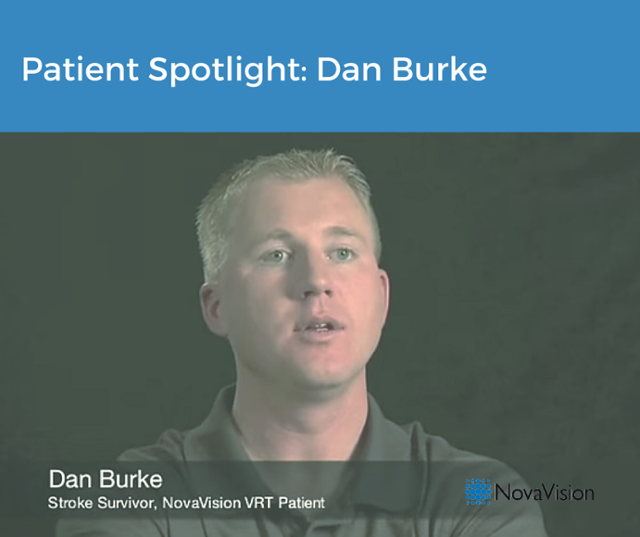 After completion of six months of VRT, the clinical studies show that an enlargement of the visual field is achieved in the majority of cases. After VRT many patients report that they see better and see more in their visual field, e.g. Many people also pursue the goal of getting their driving license back. This may be achieved when the visual field defect is relatively small and therapy outcome is very good. Many people have regained their license after VRT, however every case is different and it is not a typical result of the therapy. So NeuroEyeCoach and VRT do different things, why do both? By combining both the NeuroEyeCoach and VRT therapies you will be provided with a comprehensive rehabilitation that will maximize the chances for you to improve your vision. The therapy methods complement each other and can be performed consecutively (not simultaneously!) in the order of your choice – so that together we can make the most of your vision! Don’t just believe us, read here our real live patient experiences and testimonials. Please contact us to discuss your individual situation and appropriate measures of therapy for you!